Today’s business owners have a tough time when it comes to marketing and advertising, especially those businesses with limited advertising budgets. We work with a lot of businesses that fall in the startup, small business, solopreneur area to help them strategize their marketing. Let’s simplify it for a moment. When in doubt, focus on the emotional element of what your business solves. Perhaps it’s a need for a comfortable, safe home within a community that has an excellent school system (real estate). Maybe you’re in the business of providing security for your family long after you are gone (financial). For us, we help create a strategy and messages that will bring customers and clients into businesses (advertising). See what I did there? My recent research for problems businesses solve brought me to the angle on how they solve it (also called emotional messaging). This is how the business pulls people in (push/pull marketing). 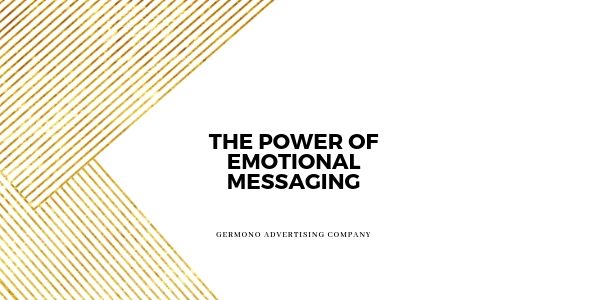 If you show the problems you solve with an emotional delivery…you now have marketing content for your business that you can stem off of for social media and traditional media. I’ve talked a lot about viral messaging, and of course we all want that. But, what if we could focus on this problem>emotion message I’ve suggested? Doesn’t that seem a lot easier? (I know right? I’m really good at taking a lot of things, digesting them, and narrowing down into a path). Carhart. Oh how I have loved Jason Momoa since Game of Thrones and how I love him even more. Click here to watch: Carhart. Budweiser. Nailed it. Ya’ll know I love a good patriotic ad. This one is meaningful and has all the feels. Oh hey Adam Driver! Click here to watch: Budweiser. State Farm. Look at you guys doing good things. And this commercial is all of us…inundated with causes we want to support but just can’t support them all. Click here to watch: State Farm. You might be thinking, yeah yeah…these are all huge companies that have budgets to support video production and actors. Hang on, friend. HRVA Homes in Virginia Beach. This is hilarious! Click to watch (opens to their video on their Facebook page): HRVA Homes. Thrift Store City. Before Macklamore glamorized Thrift Stores…a bunch of media pioneers created a funny and memorable commercial. Click to watch: Thrift Store City. Barks and Bows. Of course, one of my all time favorites from a small business owner who competes for a FedEx Small Business Grant. I may be partial as I’ve been able to witness her company’s growth and, well, you should all know I am a huge dog lover. Click to watch: Barks and Bows.